I can have a person who is a smoker, a marijuana user, someone with migraines, or someone with insomnia, or a gambler and they can change in one or two hypnosis sessions. Using a smoking addiction example, in hypnosis I ask my client symbolically to remove the sticker from his(her) mind that currently, says; “I am a smoker”, and replace it with a new sticker that says, “I am a non-smoker, happy healthy in control”. I then do a 5-year progression in time (NLP – future pacing) by tapping them on the forehead and saying; “One year forward in time…. repetition… repetition… repetition… I am a non-smoker, happy healthy in control. 2. Two years forward in time… repetition… repetition… repetition… I am a non-smoker, happy healthy in control and so on up to 5 years forward. Then I ask the sub-conscious to evaluate how it feels with all the things that we have put into place during our session to have become a non-smoker. Does it (the subconscious) need to add anything else? When all is ‘great’, I ask the subconscious; “is it acceptable that we bring back the feelings of being a non-smoker to the ‘here and now’ so that when I count you out, you will feel like a ‘non-smoker, happy, healthy, in control’. On assent from the subconscious with instructions for all these things to sink deeper and deeper whilst I count them out of hypnosis – (obviously with a lot more hypnosis patter before, in-between and after, as well as counselling on smoking before the hypnotic session), they instantly feel like a non-smoker. The point I am making is that it didn’t take more than a 1.1/2-hour session to form that new habit. For that change to happen so instantly, smoking would need to be just a habit. If smoking had now moved over the years from mere habit to be a coping strategy (i.e. now managing a stressor/anxiety that has manifested in their life), in the first instance we would need to release any feelings or make changes first, that would otherwise stop that change. Another example was a person that came to improve their art – somehow his work didn’t look right. In hypnosis he was able to evaluate, step back, do the picture in slow motion etc. and he came up with the conclusion that he should have stopped his pictures earlier. What he had got into the habit of doing was to keeping trying to improve by adding to it when he should have left it alone. We then negotiated with the subconscious a way of letting the conscious mind know when to leave his picture as was. My feedback is that he is now happy with his work and he has sold a few pictures where his clients were obviously happy too. This took 2 sessions – say 3 hours. And the same reasoning applies to anything we wish to change. The techniques and timing can vary but are mostly much faster than we can achieve using our conscious mind. As hypnosis-therapists using the trance state, we can bypass the normal time frame that it might take. The WAR occurs when we only use our conscious mind, i.e. Willpower, Analytical thinking and Rational Thinking, when it is at odds with our subconscious wants. It is important to remember that our subconscious is designed to keep us safe, as well as automatically doing things for us without needing to think about these things on a conscious level. If what it does is fulfilling a purpose, then it does not want to let go of what it is doing. So, if you have anxiety and smoking is helping you cope with that anxiety, it will be difficult for you to cease smoking using willpower alone. 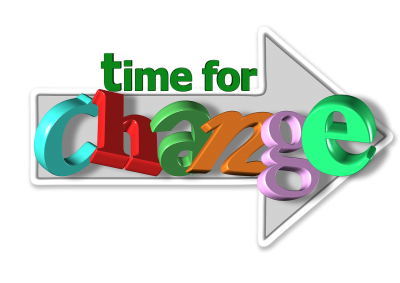 Therefore, often why CDs on self hypnosis do not create changes for a person as well – the subconscious resistance is too great to allow that change, and the client gives up listening to the CD or doing their self-hypnosis or meditation because they don’t feel any changes happening. When that happens, it might be well worth a trip to a well-trained hypnotherapist that can help you achieve what you want. People have asked; “How long does it take to make a conscious change? The old rule of thumb; 21 to 28 days is not necessarily correct. The actual figures can vary quite considerably. In a research Lally et al. (2009) in the European Journal of Social Psychology, the abstract quoted on 82 participants providing enough data for analysis having completed a self-reported habit index (SRHI). The time it took participants to reach 95% of their asymptote of automaticity ranged from 18 to 264 days, indicating considerable variation in how long it took to change. In this study the average time it took was 66 days, but as the outcomes varied from taking a drink of cold water to doing 50 sit-ups or going for a 15 minute walk each morning, it would be expected that some tasks would take longer to create an automatic habit. How long would you like it to take to make a change – using your conscious mind or hypnotherapy?